For Visitors – Did You Know? What happens when you plan to take your boat out at the weekend? It gets windy. What happens when you plan a boat fishing competition? It is even more likely to get windy. 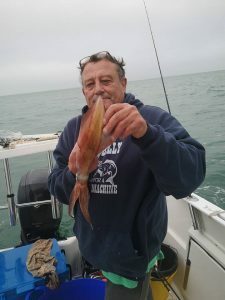 Fortunately the winds abated enough for the annual inter-club competition between Southsea Marina, Eastney, Southsea angling clubs and Langstone Harbour Fishermen’s Association to take place. 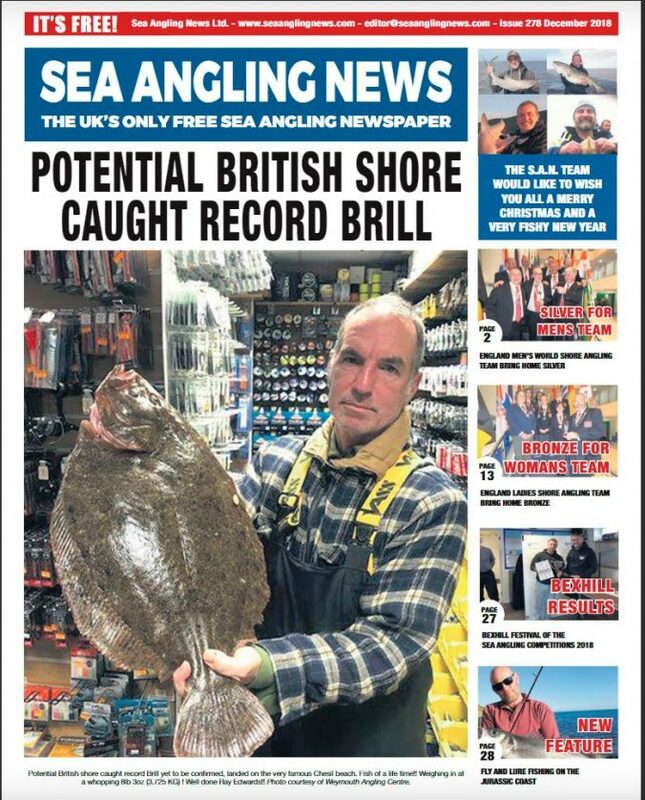 47 anglers took part with the top prize going to the largest specimen fish. 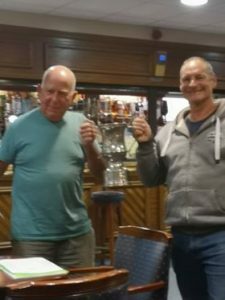 Last year cup-holders SMAC lost to ECA and this year we were delighted to win it back. 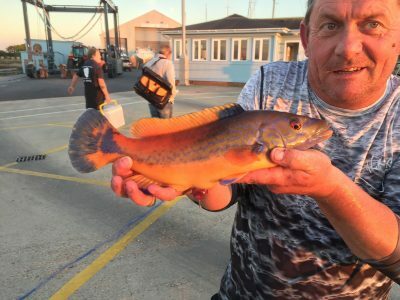 Our commodore Tim Andrews weighed in (and released) a cuckoo wrasse of 1lb 10oz which was the best specimen of the day. The photo here shows Pete Kilshaw of hosts ECA presenting the prize to Tim. We’ll be fighting it out again next year. 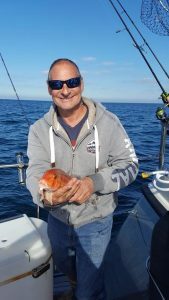 SMAC Fish of the Month was won by Kev Johnson with a slightly larger cuckoo wrasse, 1lb 12oz although this wasn’t in the competition. They must know where those big wrasse hang out. 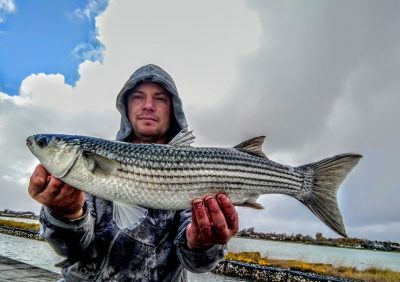 As usual, those with flexible (or no) work arrangements have been able to fish midweek and have had some good catches – ray, bass, pollack, huss as shown in the photo gallery. For the rest of us, the weather on the last few weekends has been consistently bad and the Open Cod Competition rolls forward yet another week. Hopefully we will have a report on this next month. It is probably just as well, because the hot summer and mild autumn has meant sea temperatures have not fallen as quickly as usual. 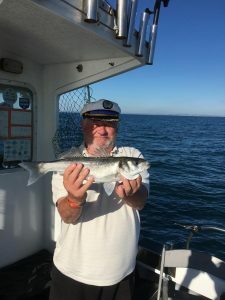 Mackerel and garfish are still lingering, and cod and whiting have not shown in any numbers just yet. Maybe another week or two will make a difference. Meanwhile, if you can’t get out far you can still catch some cracking fish close in – very close in for mullet. Heber Crawford shows this 4lb 10oz beauty. Another inshore fish making an appearance on the score board is the flounder – a 2lb specimen for Steve Kelly. 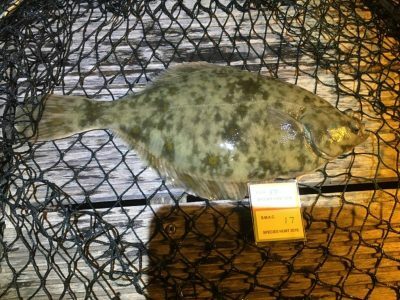 We used to catch flounders by the dozen but in recent years they have almost become a rarity. Various theories for their demise have been circulating: it could be caused by the increasing numbers of predatory bass in the nursery zones, pollution (Langstone Harbour oyster fishery is closed due to this), seals, French trawlers, illegal netting for pot bait and of course the EU. 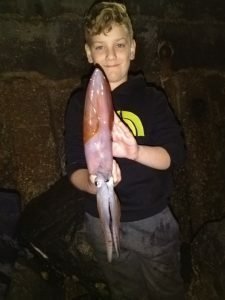 Squid fishing has been booming, so much so that angling shops have had to hurriedly re-stock their squid lures. 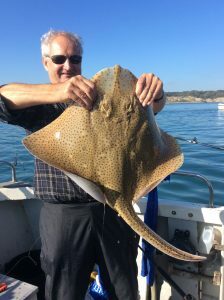 Good sized squid can be caught by boat (Bill Arnold and John Evans demonstrate here), from the beach, pier and harbour walls. 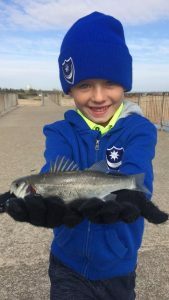 Team Crawford are regularly bringing in good catches. By the way, if you like deep fried calamari or salt and pepper squid you really need to try fresh-caught local squid. Can’t be beaten! Shoals of anchovy have been appearing recently. 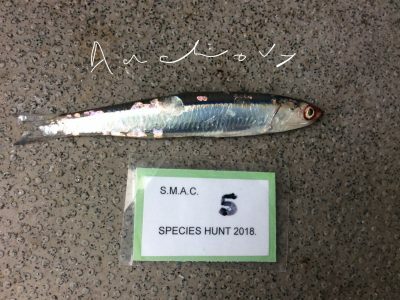 These can be caught with tiny feather rigs and make good baits, or you can prepare and eat them much like sprats. 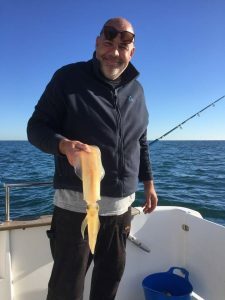 Apparently in some seasons the cod and bass are stuffed with them so it is always worth trying with tiny feathers if you see a shoal on the fish-finder. Chances are, larger fish will be waiting under them too. 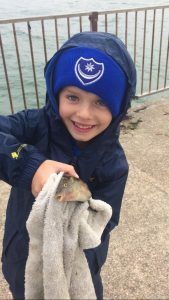 We always celebrate young anglers’ achievement and this month we welcome Mikey Primmett who is very proud of his bass and wrasse. 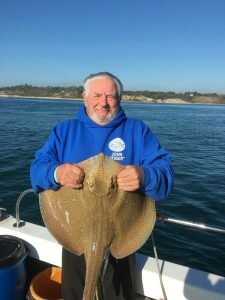 Meanwhile our Southsea Marina Disabled Angling Club show what they can still teach us, John Wearn shows off his blonde ray and a bass. SMAC Open Cod Competition Results!